Later last year, Google decided that it was time to crack on apps requesting SMS and call log permissions. Apparently, there will be exemptions for categories, including backup and automation, but from now on there are still gaps that cover legitimate uses. 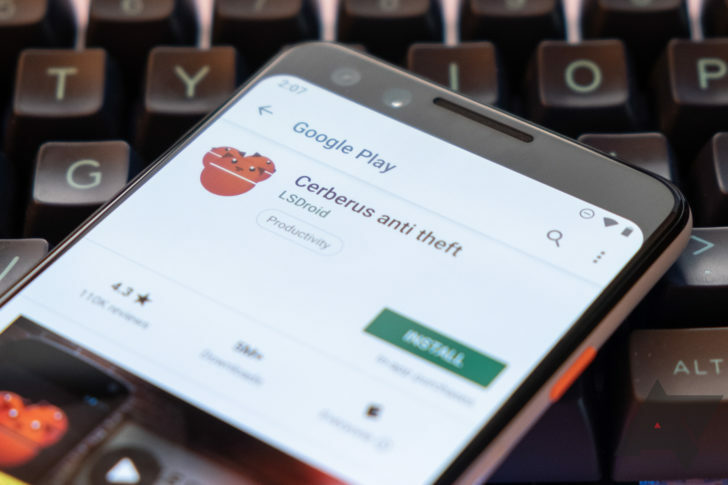 While some popular apps like Tasker have secured exceptions, others like Cerberus do not. Instead, they have decided to remove the permits or risks facing the deity of Google's forthcoming January 9 ban hammer, kill associated functionality, and disappoint millions of long-term users to follow the Play Store's new policy. As a result, Cerberus has had to print a recent update that removes these permissions and a whole bunch of functionality from the phone's security app, killing SMS-based commands, alerts, ringing backups, and opening the app via a plate code. This basically kills one of the Cerberus heads. " And Cerberus is not alone. Many other programs – although some are explicitly built around SMS / MMS and phone calling – have been denied exceptions, and some of these are apps like Easily fits into the apparently allowed categories provided by Google, yet they have been denied a continued presence in the Play Store, bags may have been important enough and attracted enough public attention However, to ensure an exception, but with some smaller programs that also fit exemption categories, has not had the same luck. Developer-facing herald of the upcoming appocalypse. Google's monumental lack of support for independent developers is well known at this point, but with months to prepare, it would have been assumed that apps that already included the permit might have undergone a manual review process. Many of the programs that appear to have been hit by the automation, the double adult alert and subsequent denial of appeal, are clear exceptions to Google's own expressed rules, while others such as Cerberus should be . Nevertheless, when writing a post on the Google issue, Tracker is related to the issue now over 620 comments deep, filled with both just indignant developers and piles of affected users. Honestly, I'm tired of writing about Play Store developer supporting issues like these. This is a stereotypical Google problem, combined with the stereotypical Google solution: We have a problem that can best be solved with a little effort, time and expense of throwing hot bodies on it, and Google prefers to just automate whole things instead, false positives are cursed. (Humorously, this issue of the exemption application is a symptom of Google's larger low-combat war against privacy programs in the Play Store, which itself could handle better.) But support works best when there's nothing but a robot at the other end And even Google admits this is a gray area where automation-defying exceptions can and should sometimes be given. Unfortunately, developers give the company 30% of everything they do to be told "no" by a robot. The difficult least Google can do is treat them with some respect during this appealing process, and a line to real human support that apps make this transition would be a start. Developers who are still trudging through how best to approach last-minute permission removal would be well served by reading this post of u / stereomatch in Android Developers subreddit, which is an unofficial but close-knit policy, experimentation, first-hand accounts, and background reading for various methods of working around the change, depending on your app. You can also apply for a two-month extension until March 9 through the "Permission Statement" exemption form, if you are driving shortly. Hopefully Google will consider how this situation is handled in the meantime.